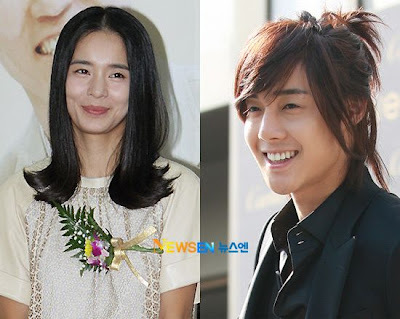 Jeong Hye Yeong will play as Kim Hyun Joong's mother in Mischievous Kiss. I'm looking forward to it ^^ Below is a pix of her ...I think it was her outfit at the first day of shooting, on the 22th ? ?